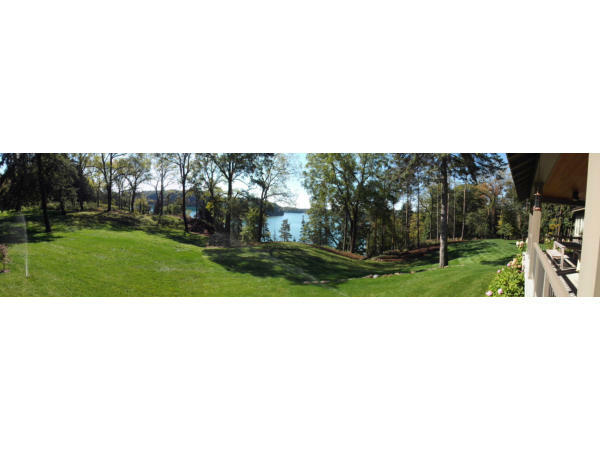 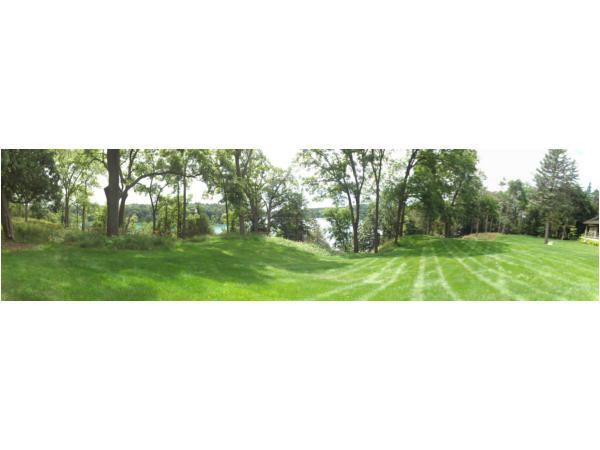 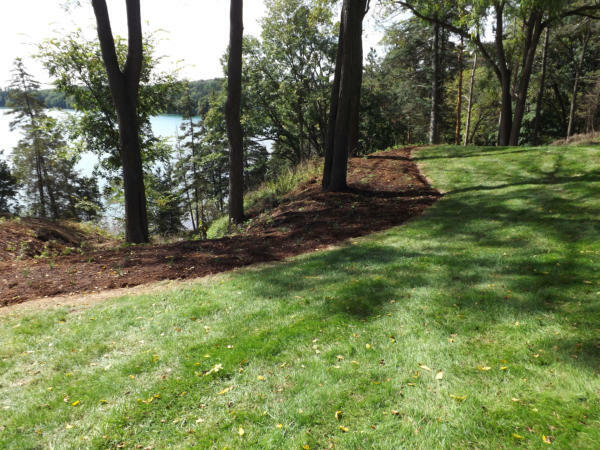 Dunham’s Lake Bluff The homeowner desired to improve the panoramic view of the lake by cutting back a lot of "wild growth" along the edge of the overlooking lake bluff. 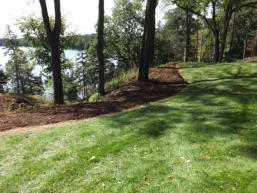 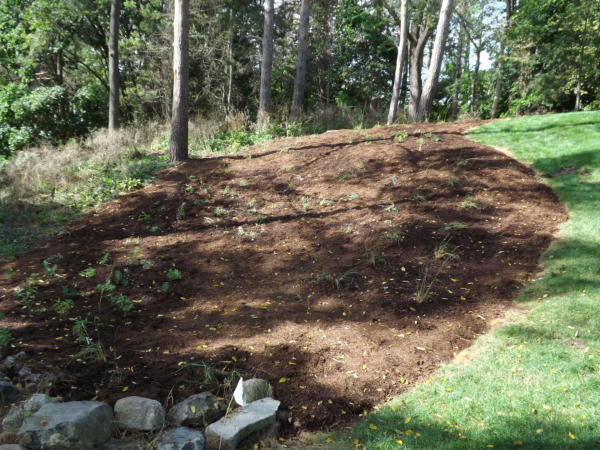 The area was prepared by eradicating the unwanted growth and covering the area with a bio-degradable weed barrier followed with 3-4"of hardwood mulch. 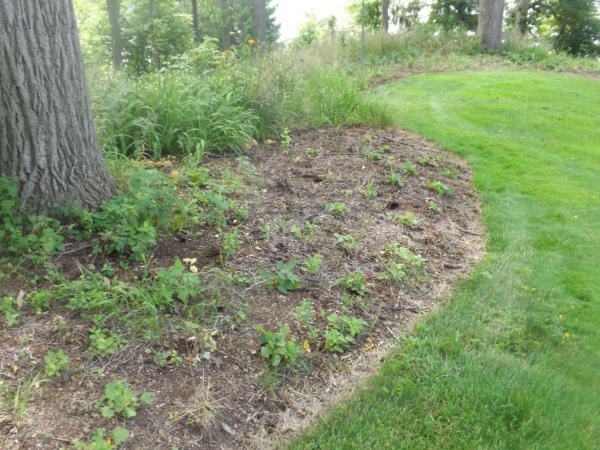 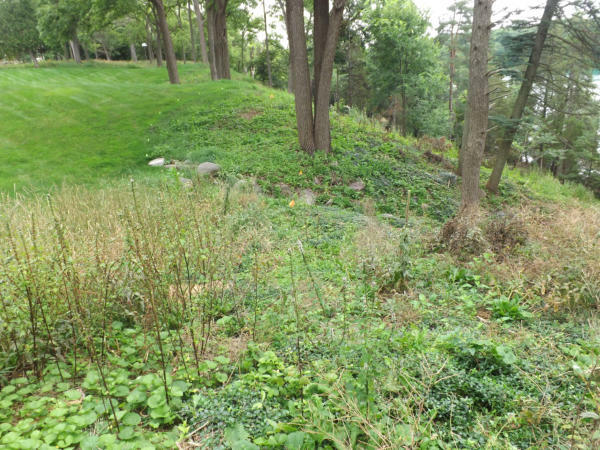 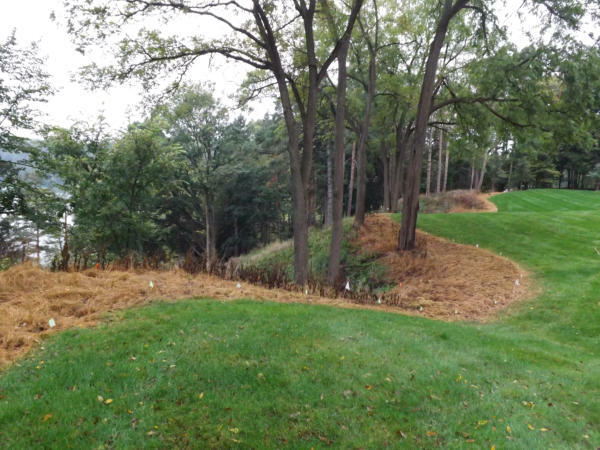 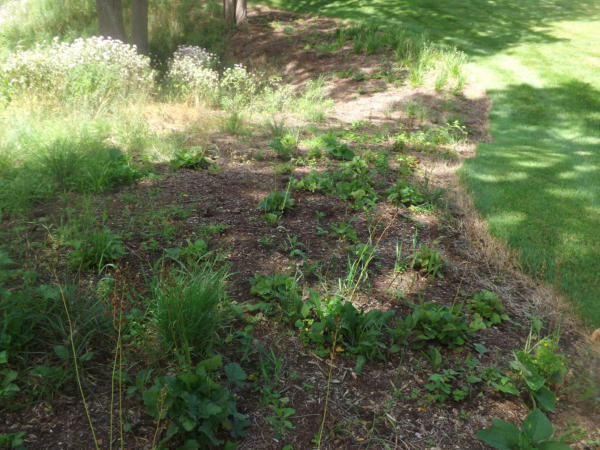 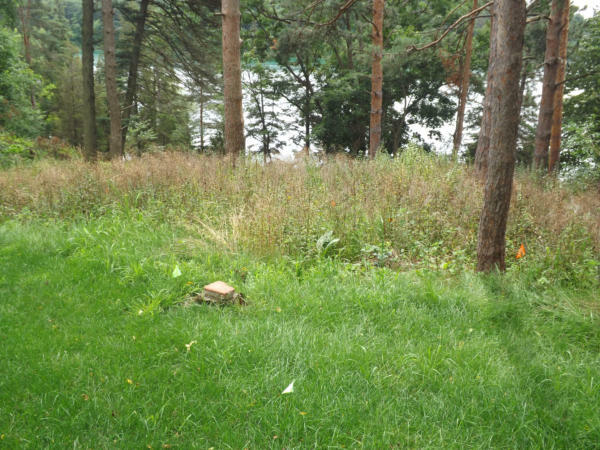 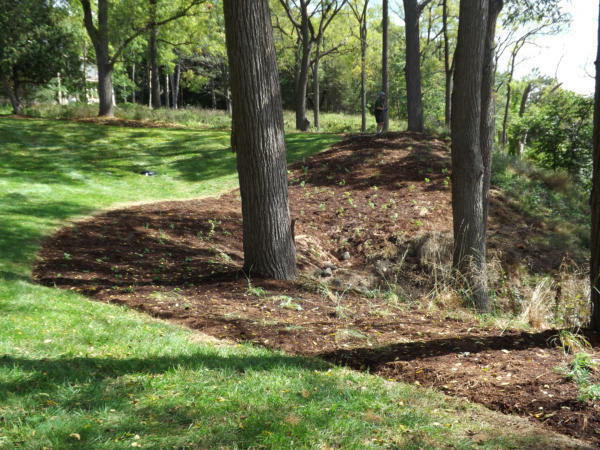 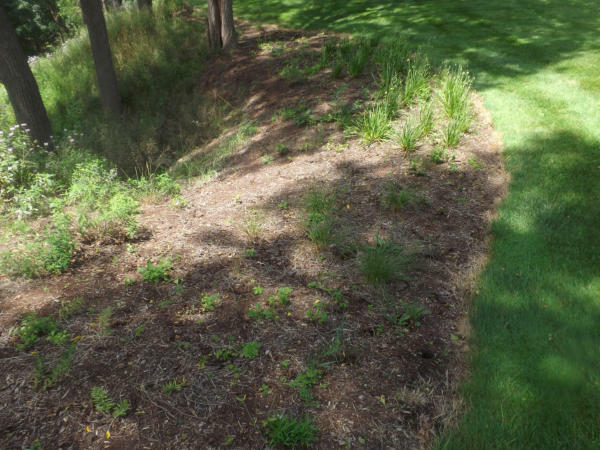 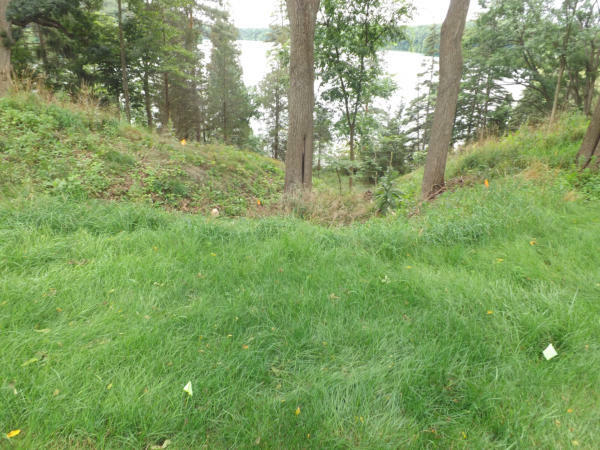 The challenge on this site was to find native grasses and plants that would resist deer browsing and live under a canopy of Black Walnut trees. 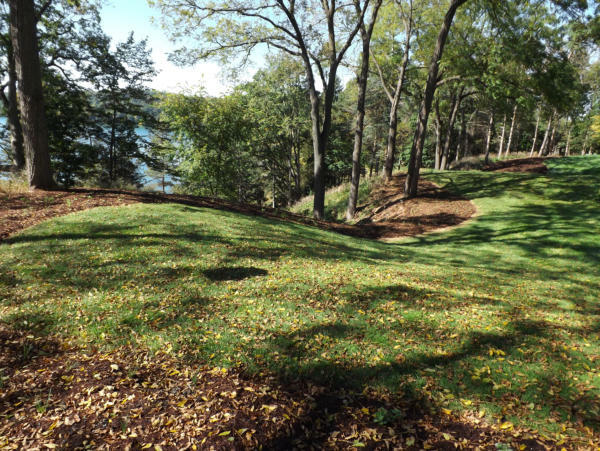 The plantings were installed in Sept 2013, so initially not a lot to see, but by end of season 2014 it should be spectacular.